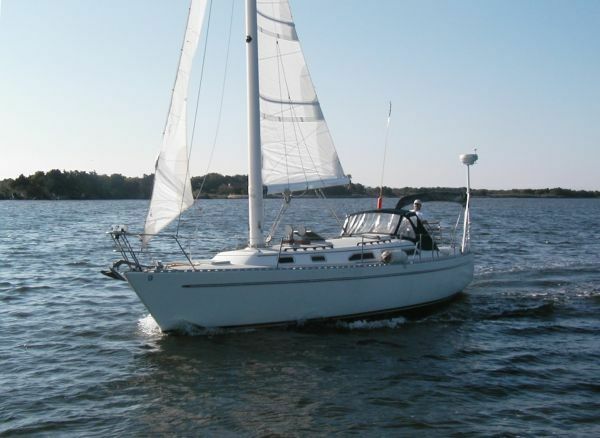 Developed by Loren Hart who founded Lord Nelson Yachts with his wife Lani in 1982, the Lord Nelson 35 (introduced a couple of years later in 1984) was one of two sailboat offerings by the company. 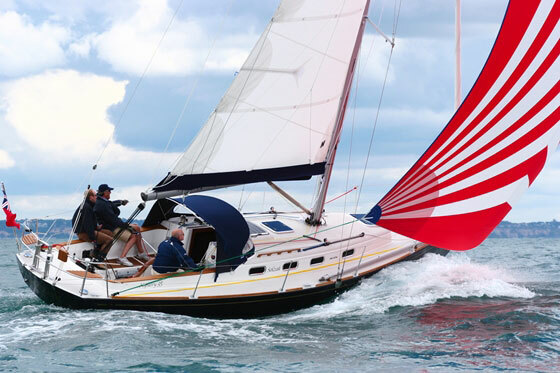 The boat is well known in cruising circles for its close heritage to the Hans Christian line of boats, they’re super-solid and super-heavy double-ended cruisers with that salty old-world styling which the Westsail 32 and Tayana 37 made so popular. 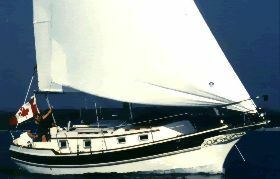 Like many boats of that era, the Nelson 35 was built in Taiwan, in this case by Hai O Yachts under the direction of one of their partners and the eventual designer of the boat, Tommy Chen. (Tommy also had a hand in the Hans Christian boats. 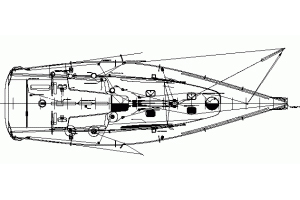 The hull form of the Lord Nelson 35 draws much in common with the Hans Christian 33, but with flatter aft sections to reduce the hobby-horsing tendency that the Hans Christian is known for. 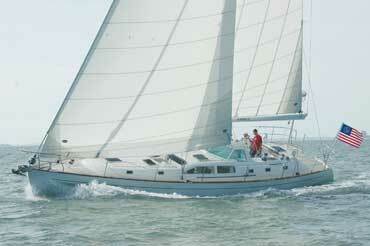 Below the waterline is a very full keel running from bow to stern and a well protected rudder that is hung well aft. Above the springy sheerline sits a ‘proper’ cutter rig with its large fore-triangle opened up by the use of a long 7 foot bowsprit. ‘proper’ cutter rig with its large fore-triangle opened up by the use of a long 7 foot bowsprit. 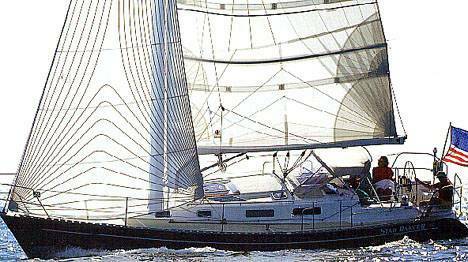 Sail Area: 785 sq. ft.